Mr. Sirianni believes in pride, passion, and the pursuit of winning the argument on appeal. Mr. Sirianni President of BROWNSTONE, P.A. His commitment to the rule of law and appellate representation is unparalleled within the industry. He believes in pride, passion, and the pursuit of winning the argument on appeal. Mr. Sirianni provides representation to clients on matters of federal appeals, state court appeals, writs, petitions, amicus curiae, regulatory, and constitutional law. He serves as an appellate lawyer for multiple areas of Law including civil and criminal matters. Mr. Sirianni is licensed in every federal court of appeal in the Nation. He represents businesses and individuals before all federal courts of appeal and the United States Supreme Court. His practice is 100% devoted to appellate representation and he is often called upon to provide oral arguments before the United States appellate courts, including the Supreme Court. 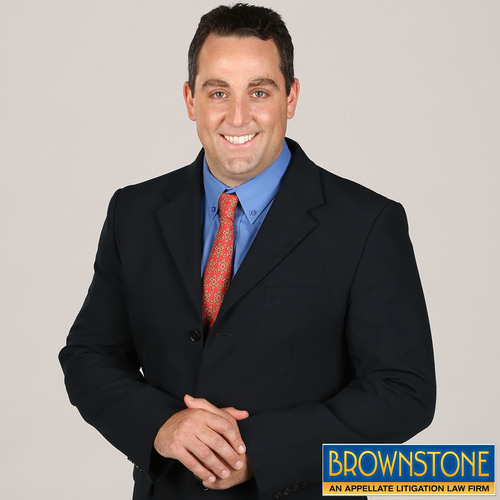 Mr. Sirianni has prior experience in contract and corporate law with a major law firm across the nation. As a trial attorney, he has over thirty jury trials. Mr. Sirianni is also a former prosecutor and law clerk for the United States Department of Justice, Office of the Solicitor General (Solicitor Theodore Olson). While working for the Solicitor, he assisted U.S. Department of Justice attorneys by researching legal issues and drafting appellate briefs filed in the United States Supreme Court. Mr. Sirianni has worked in the white House (George W. Bush Administration), U.S. House of Representatives, and U.S. Senate. In addition, from January 1 999 through May 1999, he worked in the British House of Commons for Sir Paul Beresford (Tory Member of Parliament from Mole Valley, England). Mr. Sirianni is married to Natalie Sirianni. His hobbies include athletics, reading philosophy, writing, sailing, and classical music. His favorite author is Ayn Rand and favorite book is Atlas Shrugged. Brownstone Law is an appellate litigation law firm and extraordinary team combines innovation and the legal services that you have relied on for years with the best possible representation to deliver results and strategic solutions for our clients on appeal. We provide aggressive appeal strategies in your industry or business and exceptional resources and representation to best serve your needs as appeals lawyer. We handle civil appeals and criminal appeals throughout Texas, Florida, Illinois, Georgia, Tennessee, and Michigan. Our Firm also handles Federal Appeals in every federal court in the country.